If you have ever been moved to feel extreme emotional highs or lows simply by watching a dance routine, chances are you were watching a routine in this category. The Contemporary/Lyrical division is known for having the most emotion-driven concepts, choreography, and performances. This year at Worlds, there will be no shortage of fabulous teams in this category bringing everything they’ve got to the stage to earn the crown. The new excitement in this style this season is that there will be a split between the Senior Small and Senior Large divisions. So, there will be two gold medals on the line for Senior teams, and two opportunities for programs with Senior teams to flex their emotive muscles. A number of programs will be fielding teams in both the Small division as well as the Large division. 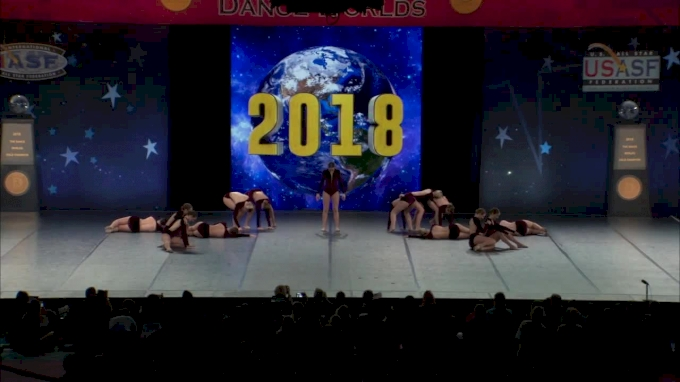 The reigning World Champions from 2018 when Small and Large were combined, Dancer’s Edge, will be vying for both of those titles. Carrying the title of World Champions on their shoulders, as well as boasting two glorious routines, will make them the team to beat in either division. 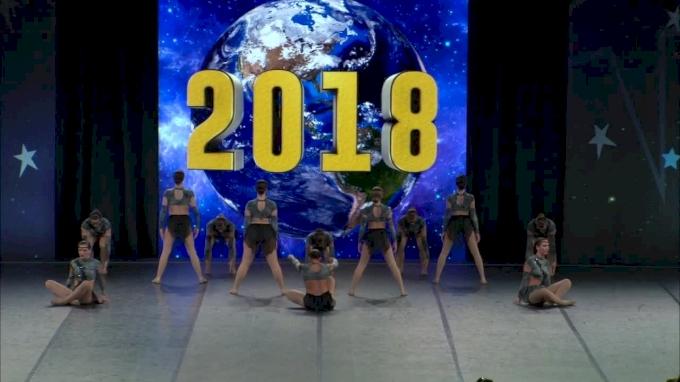 2018 World Champions in the Open division, as well as silver medalists in the Senior division, The Vision Dance Center, will be taking on all 3 available divisions within the style. They are back to defend their title in Open and will be looking to use last year’s silver medal to help motivate and lift them into the top spot in both of the Senior divisions. Another program taking the leap into all 3 divisions will be Dance Dynamics. The Texas studio claimed the first ever World Championship title in the Senior Contemporary/Lyrical division at The Dance Worlds 2017. Impression is the name of the game in this style, and Dance Dynamics plans to capitalize on that in different ways in each division. With a different stylistic approach between the Large and Small teams, they hope to bring out the best of their athletes in the moment. Martin told us that they aim to bring life experiences into the choreography so that the dancers can bring it to life on stage. The Open division will be one of the most stunning displays of beauty throughout the entire weekend, as it allows for athletes ages fourteen and above to compete. There is no limit on the level of maturity and grace that accompanies dancers as they get older, which allows for even more emotional performances to take place in this division. In addition to The Vision Dance Center and Dance Dynamics, also keep an eye on Brookfield Center for the Arts and Dance Mania All Stars. Whoever can bring the passion and feelings to the floor the most will certainly shake things up on the podium. Also, never to be counted out, International teams finished just outside of the medals in 2018. DSF from Japan and Ultimate Dance Centre from Australia put the pressure on last season, and it’d be a mistake to underestimate any non-USA teams as they take on the division in 2019. The Senior divisions are going to be heavily contested and fiercely fought for. In the Small division, the 2018 bronze medalists, Dancin’ BlueBonnets, will be out to bump it up one spot with a gorgeous display of technique and fluid, yet uniform, movement. Beyond the aforementioned teams, other main contenders include 5678! Dance Studio, Dance Etc, Foursis Dance Academy, Power of Dance, South Coast Freestyle, and Wildfire Dance Studios. Anyone of those teams could bring the routine to the stage to climb up to the podium, and they will be looking to do so. In the Large division, the podium will really be up to whoever wants it the most on the weekend of Worlds. With four of the top 5 from last year’s Senior division competing here, it will be a stunning display of emotions that no one in the audience will be able to look away from. Dancer’s Edge, The Vision Dance Center, Dance Dynamics, and Champion Legacy will battle it out to prove that last year’s heavy hitters are here to stay. Other highlights will include Brookfield Center for the Arts, Music City All Stars, PowerWorx Dance, Power of Dance, South Texas Strutters, Starz Dance Academy, and Velocity Dance. The USASF describes a Contemporary/Lyrical routine as using “organic, expressive, pedestrian and/or traditional modern and/or ballet vocabulary as it complements the lyrics, mood and/or rhythmic value of the music. So, what this style ultimately comes down to is choreography intertwined with musicality. Whenever we watch these divisions, the best of the best always tug at our heartstrings. So, make sure you grab your tissues, sit back, and get ready for a beautiful show.